I got this look from playing around with my new NYX products. Sorry about the fallout on the lashes, I was in a hurry! 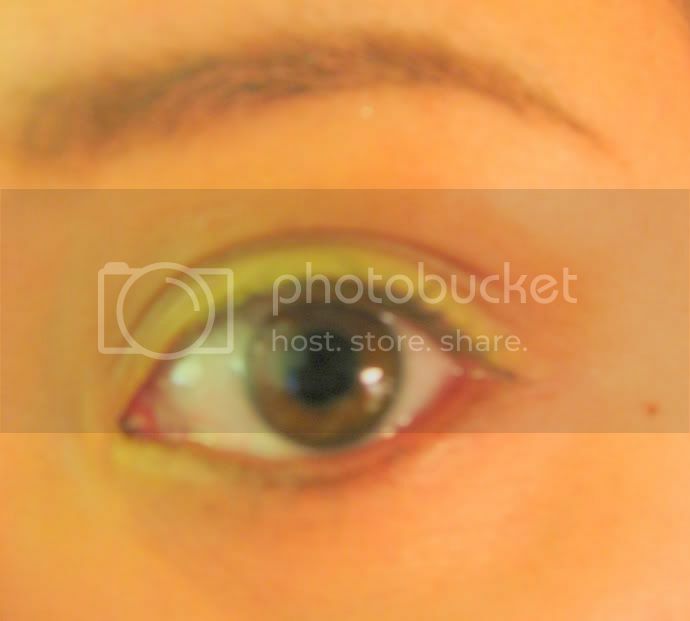 The brown is very basic blending of the crease, but the lemony yellow gives it a bit of interest, as well as dimension to the eyes.